We are able to produce personalised resources between 3:30pm and 5:30pm. These can help you to say what you want to say. They include autism alert cards, hospital cards and employment profiles. Cafe Autistique, our monthly discussion group, is on from 5:30pm to 6:30pm. The topic will have some relevance to autism and autistic people. Ian from Chapeltown Citizens Advice is in too, from 3:45pm to 7pm. He is around to give information on a handful of topics, particularly benefits. Our staff are around to offer limited advocacy support, information and signposting. Our autistic staff members can also provide peer support. Our Friday hub is only for booked appointments. There, we can offer one-to-one advocacy support, bespoke peer support, information and signposting. Ian from Chapeltown Citizens Advice will be there too for one-to-one appointments. To book an appointment for this coming Friday or any future Friday sessions, please contact us. 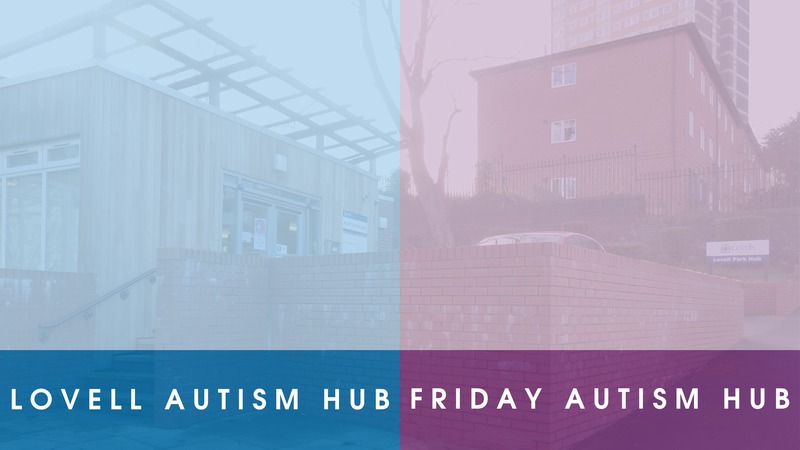 For directions to the Hub, as well as a list of bus services that go nearby, visit the Lovell Autism Hub page of our website.